If you’re seeking out a licensed, professional electrician in Washington, IL, look no further than the team at Trapp Electric! We offer a wide variety of superior electrical services and support. Here at Trapp Electric, we work very hard to ensure that we steadily deliver the best-quality installations, maintenance, and repairs. In addition to our high level of skill, we pride ourselves on being well-known for our friendly customer service and consistent support. When you call Trapp Electric, we will transfer one of our helpful technicians, who are always ready to help. Remodels can be stressful and overwhelming – but they don’t need to be! 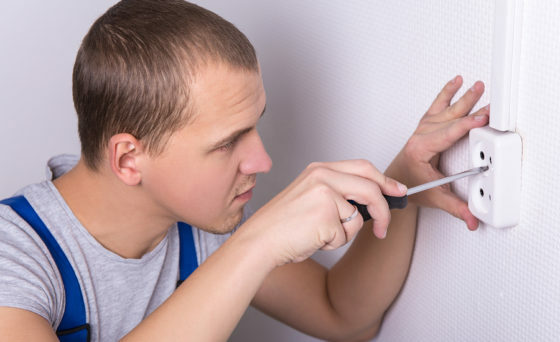 When you hire Trapp Electric for your home or one-room remodel, we will get the job done quickly and efficiently, so that you won’t need to worry. Services Upgrades. Service boxes are one of the most crucial parts of your home’s electrical system! Trapp Electric offers high-quality service box upgrades, to keep your system running smoothly. Contact us to hear more. Generator Installations. The Trapp Electric team takes great pride in being the best generator installers and electricians in Washington, IL. Pool and Hot Tub Wiring. When you install a new pool or hot tub, it’s important to get the wiring work right the first time around! Trapp Electric offers superior hot tub & pool wiring services. New Construction. At Trapp Electric, we can help you with all your new construction needs. We have experience with a variety of projects, from large-scale commercial endeavors to small residential homes. When you need assistance with your new construction project, it’s time to call Trapp Electric – we’re proud to be the electricians that Washington, IL, residents consistently trust. Would you like to hear more about our exceptional electrical services? We’re happy to help answer your questions and schedule you an appointment. Contact the Trapp Electric team at 309-444-8188. We look forward to offering our assistance!